Check Specials & Gift Cards page for Specials & offers !!! We will first draw on the brow by hand, strand by strand, to get to the shape that is made just for you. The specialist will take into account your existing brow shape, your facial structure, and your preferences. Once we decide on the brow form, we decide on the color and mix a hue specifically for you. A topical numbing cream is applied which will take approximately 20 minutes to take effect. Then, the specialist will use a specially-made tool to delicately scratch the brow into the skin, strand-by-strand. Dye is then applied into the brow design for the final look. The entire treatment time is approximately two hours. There is no downtime; however, the brow will take about two weeks to fully heal. The brow may appear darker than you wanted for a few days, then it will lighten into the desired color within two weeks. Please follow after-care instructions and return for the touch-up in 6-8 weeks to finish the treatment. Between the initial treatment and the touch up, you may experience slight peeling (typically noticeable only up close) and fading of the brow. This is a natural part of the treatment process. The 6-8 week touch-up will build on the color that has already been absorbed into the skin. Your new eyebrow will last for up to 18 months, depending on individual circumstances (e.g. skin type, thickness and depth of color selected, and lifestyle), and will fade gradually and naturally. Apply our after-care cream for the best results. Use a q-tip to apply to eyebrows. Do not pick at the brow when the color starts to peel. To be certain color is not compromised, please avoid the following for one week after treatment: sun exposure, saunas, excessive sweating, and brow makeup. Avoid the following for two weeks: swimming and facials. We fully reconstruct, define, cover gaps, or fill-in over plucked brows with a very natural option of semi-permanent hair strokes. 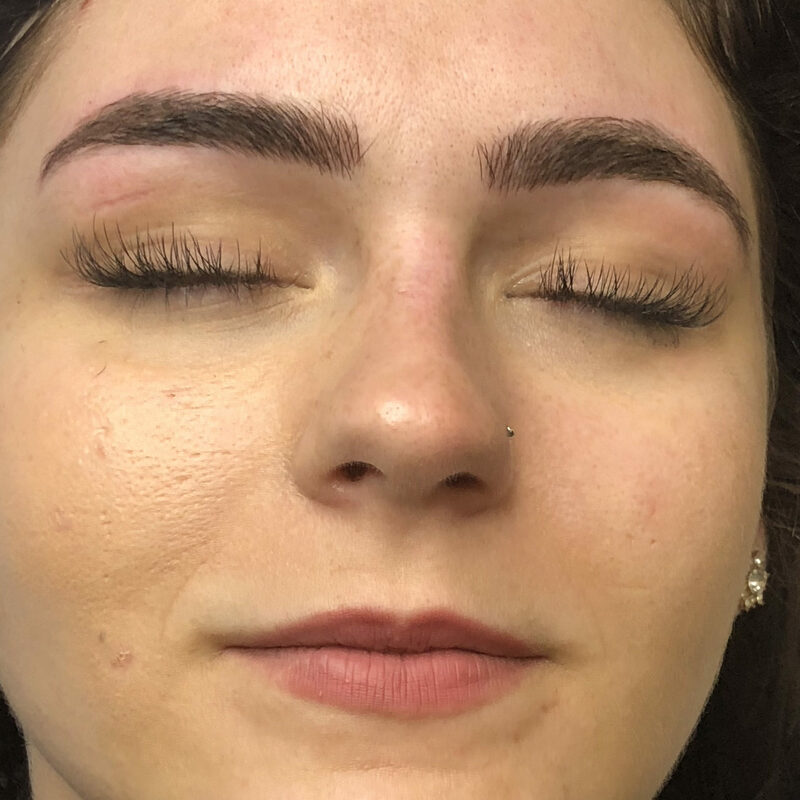 We create the most natural looking, hair strokes in eyebrow permanent makeup with the use of manual microstroking, creating fine hair strokes that fill in thin brows, bald spots or a complete brow reconstruction . This follow up is an opportunity to add, darken, and/or adjust eyebrows. 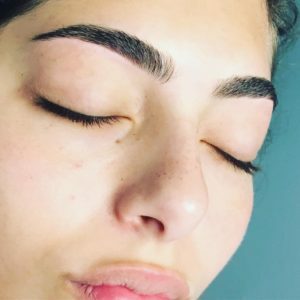 Most people require this touch-up after the first microblading procedure. 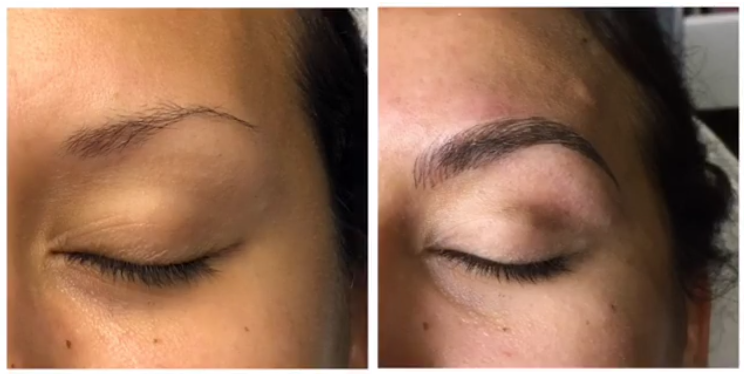 A color boost touch up is scheduled for clients that have received the Microblading procedure. This is a maintenance touch up scheduled annually. When I found out that Neeta was certified to perform this service, her spa was the only place that I thought would be safe and trusted with people I had no doubt in their professionalism. My technician made sure I was comfortable and even went to far to talk me through the process. ... 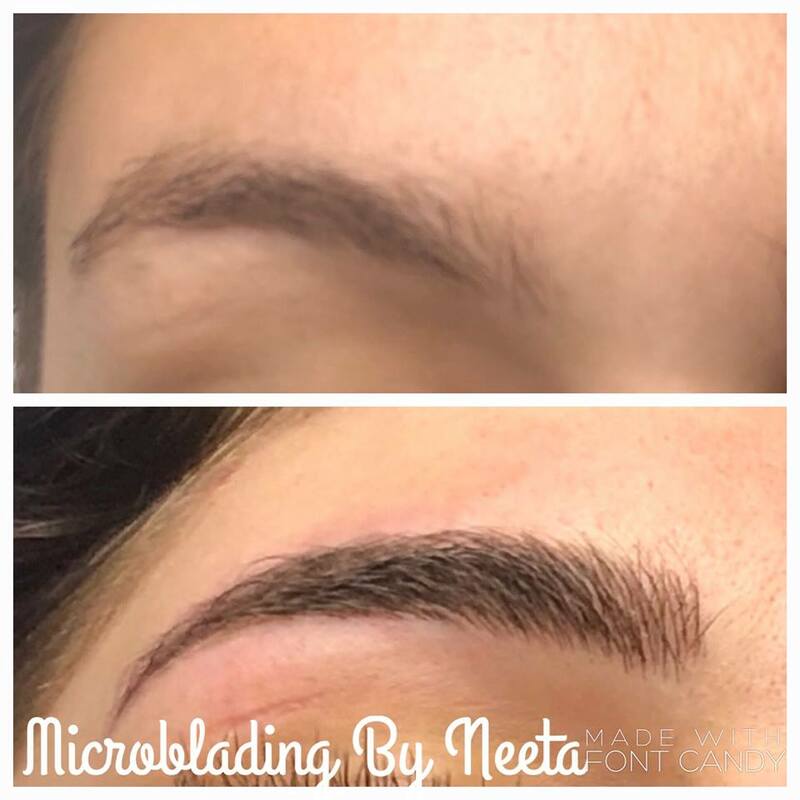 I was made aware of what to expect and left confident that I made the right choice by having my microblading at Neeta Lash & Beauty Spa. Today was my first time at the Spa, and upon walking in the door, I was greeted by employees as if they had known me forever! ... I had my eyebrows microbladed, and I’m most proud to say that, I am beyond pleased with the experience! Neeta was professional, specific and very informative about what she was doing, throughout the entire process. 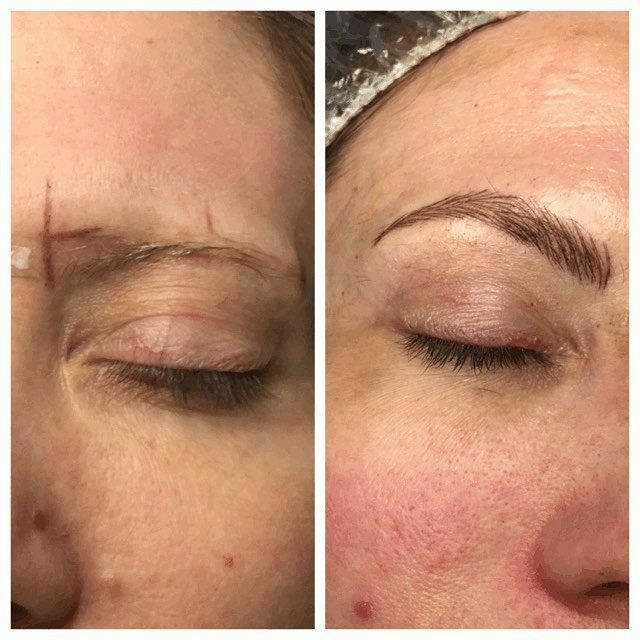 I absolutely enjoyed my time while there, and will encourage anyone who is interested in microblading, eyelashes, etc. to visit Neeta Lash & Beauty Spa!